After suffering from tooth loss, the best route for treatment is something permanent and closest as possible to a natural tooth structure: a full tooth with a root that extends into the jaw. The only way of accomplishing this after a tooth is lost due to decay or injury is with dental implants. This amazing procedure can restore your smile, health, and overall confidence! Read more below to see the benefits of getting dental implants, as well as an overview of the procedure. Dental implants are the most popular method for replacing missing teeth due to countless benefits and stability. The procedure may seem complex, but it is done routinely at our office! 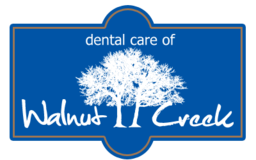 Our staff and dentists are here to ensure that your procedure is completed as comfortably and as efficiently as possible. Did you know, according to the American Academy of Implant Dentistry, more than three million people in the United States have dental implants, and this number continues to increase by an estimated 500,000 people per year. According to the AAID, approximately ten percent of dentists place dental implants, and our office is proud to be one of them! So, how does this procedure work? 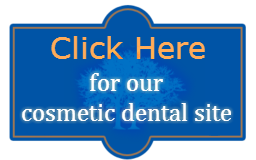 Here, we take a look at the various aspects of receiving a dental implant. During this procedure, titanium supports are surgically fused with your jawbone. This fusion will allow the supports to act as an anchor to make sure the tooth stays in place at all times. Dental implants are not only used for individual tooth replacement but can also be used when replacing multiple teeth as an alternative or addition to dentures. Implants have an incredibly high success rate and usually last your entire life! 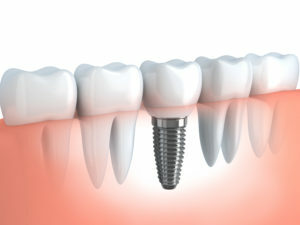 This is the most common type of implant where the screw is shaped like the root of a tooth. In some cases where there is not enough bone width or height for the root form or plate form implant, a subperiosteal implant may be prescribed. This type of implant is designed to sit on top of the bone but under the gums. When you lose a tooth, sensitivity can increase in the other teeth. This, along with a misaligned bite caused by tooth loss, can lead to frustrations when trying to enjoy your meals and creates a cascading effect of pain and other jaw ailments. Dental implants allow patients to reduce sensitivity in the teeth and gums from a lost tooth. It also alleviates pressure from the other teeth, which may be overworked or shifting to compensate. Ill-fitting or old dentures paired with fragile areas in the mouth can lead to discomfort and frustration for those who wear them. To have a much more stable and permanent solution, dental implants provide relief by never moving and never rubbing against the gum line. Getting implants reduces the rate of irritation, sores, and infection. We also offer dental implant-supported dentures, which is a perfect combination of the two treatments. When your appearance is changing around the jawline, it may be due to bone loss, which can occur due to age and teeth missing. Implants promote osseointegration. This means that the roots of the implant can stimulate jawbone growth, lowering the chance of bone loss over time. Jaw bone loss can lead to multiple health issues, as well as permanently altering your appearance. This can lead to greater health issues and aesthetic strife. An infected tooth may need to be extracted if the infection has spread too far to save the tooth. By getting a dental implant afterwards helps alleviate further complications from the infection and open space in the mouth, and helps patients feel like themselves again. After a severe injury, restorative dental techniques may be unable to salvage what is remaining of a tooth. When a tooth is damaged beyond repair, the best option might be a tooth extraction along with an implant to replace the problem tooth. This will restore your smile and no one will be able to tell the difference. After a procedure, dental implants will look and function just like natural teeth. This option is great for people with many ailments and injuries. If you or are experiencing any of the symptoms listed above, please call our office today to see if dental implants are an option. Please give our office a call today if you have any other further questions or to schedule your appointment.